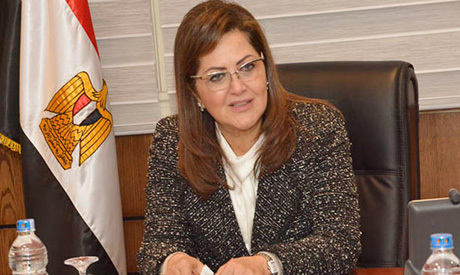 Egypt's planning minister Hala El-Saeed said during a meeting with a delegation of foreign investors on Wednesday that Egypt is targeting a 7.5 to 8 percent economic growth rate during its medium-term sustainable development plan over the next four years. The minister met with the Director of Citibank Activities Mohamed Abdel-Qader and a number of representatives of investment companies and banks operating in Egypt to discuss their current investments in Cairo and work towards ways of increasing them over the coming years. "The national plan targets a 25 percent growth in investment rates," El-Saeed told the investors. The meeting also reviewed the serious efforts exerted by the government to carry out the national economic reform program launched in November 2016, which has so far led to increasing growth rates to 5.3 percent and reducing unemployment rates to 9.9 percent, according to the minister.